Last week featured five auctions, but three of them were NEVER going to sell. Let’s first examine the two listings that sold. 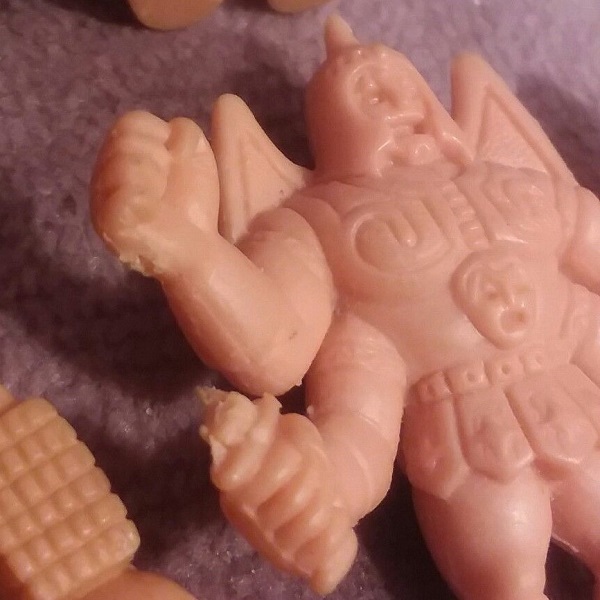 A lot of 74 Flesh figures, with a Satan Cross figure, sold for $92.05. I didn’t consider this to be a steal, but I don’t think it is horrible either. If you assign a $0.75 value to the 73 other figures, then you’re paying $54.75 for those – which is $37.30 for the Satan Cross. Not bad. The fourth auction was a straight-up steal. Arguably one of the best deals I can remember in the last five, maybe 10, years. I would subtract the 13 figures (at $0.75 per figure) first. That resets the price of the four 28-packs at $95.25 or $23.81 per 28-pack. I would happily pay that. The 29-packs are in good shape and the figures look absolutely mint condition. As for the three “never-sellers,” what more can I say? The lot is still absurdly overpriced at almost $200. The Red #1 figure is a joke. And the $150 SC is even more hysterical after the $92.05 sale price for the lot above. Maybe these three listings could be the first entries in the revamped AOTW contest. Let’s start this week’s Auction Watch by looking at an auction that will undoubtedly sell. 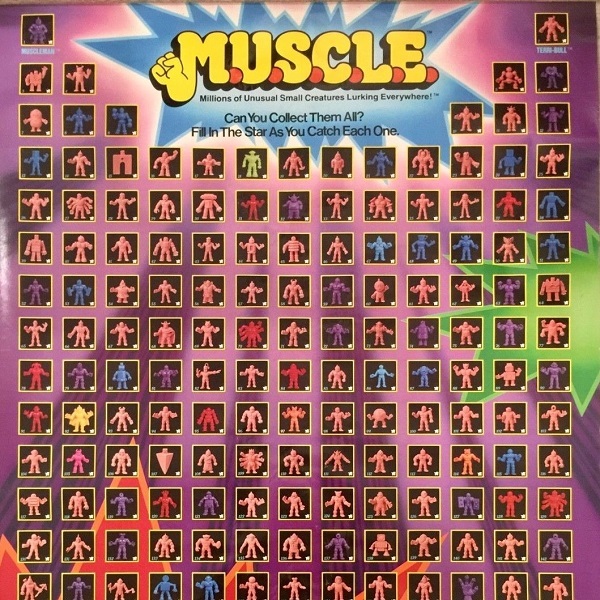 The first auction, M.U.S.C.L.E Muscle Men Vintage Poster Mattel 1980’s Toy Collector Rare, is a Color version of the poster in pretty good condition. Several posters have been featured in recent AW’s. And the sale prices suggested that a damaged poster isn’t worth very much at all. This poster has an inviting $9.99 opening bid. I think this poster is going to test my hypothesis. The poster might not be in “epic” condition, but it is in pretty darn good condition. The solid condition of the poster and the attractive opening bid make this a difficult auction to predict a final price. 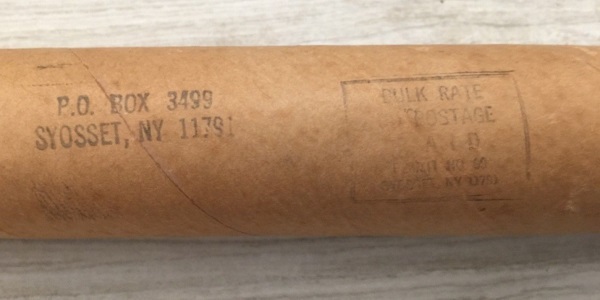 It becomes even more difficult to predict because the inclusion of the poster tube. 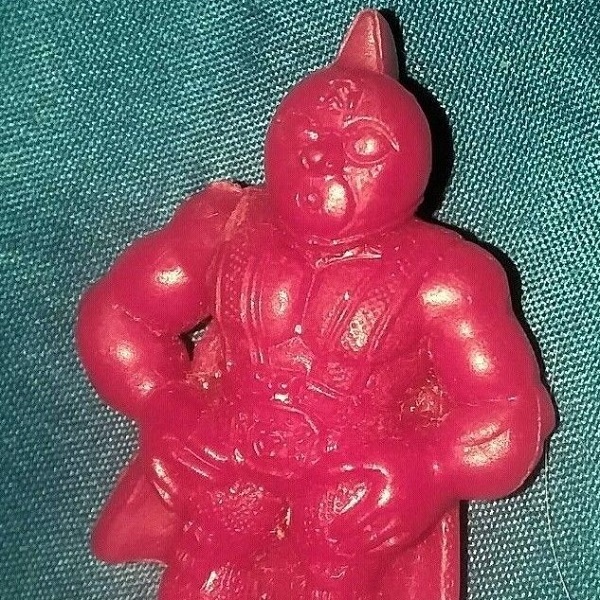 Some collectors will care about this piece of M.U.S.C.L.E. ephemera, but I can imagine others being annoyed by its inclusion. I can easily say that my eyes will be glued to this first auction. 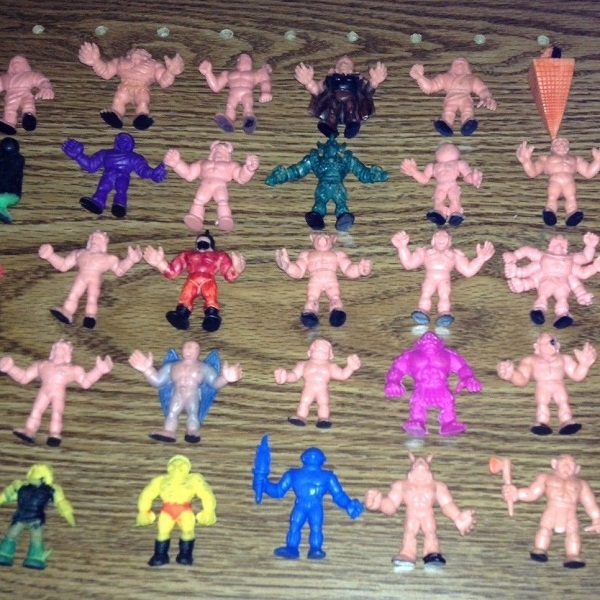 The second auction, MUSCLE MEN M.U.S.C.L.E. MEN FIGURES VINTAGE Point of sale STORE DISPLAY BOX, also fascinates me. 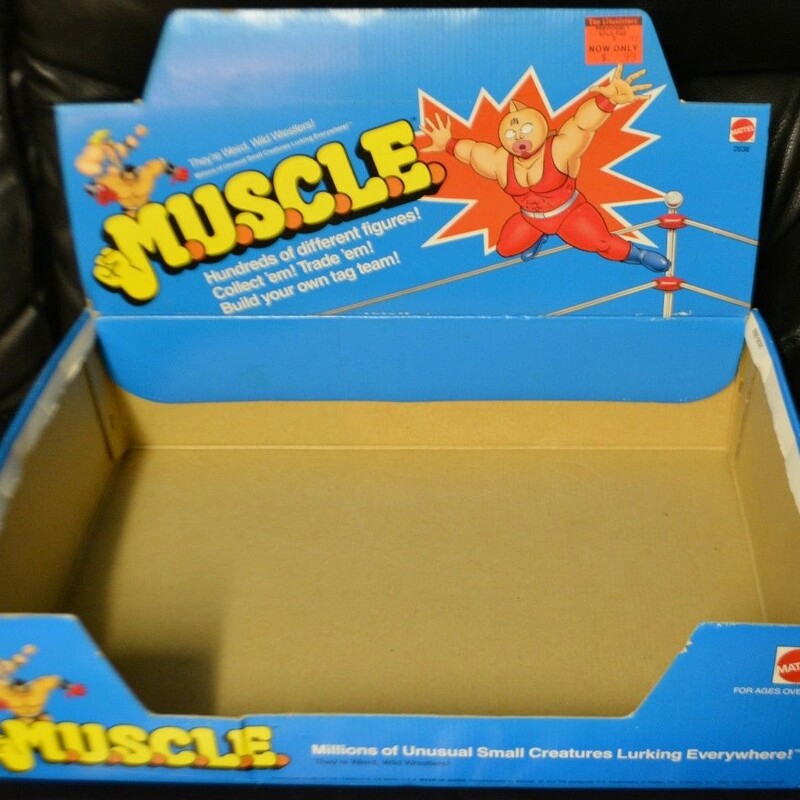 I’ve said before that I couldn’t spend over $100 for an empty box – especially because the box is technically incomplete. Most recently we saw a 10-pack Display Case in AW #227. That box, and its 10-packs, are still for sale. Before that, in AW #202, we saw another empty box. I believe it sat unsold at $125. 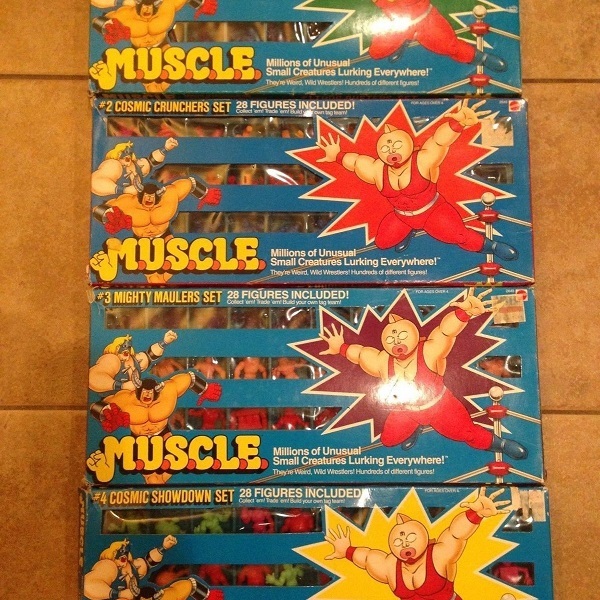 The last one I saw sold for $156.34, but it came with four 10-packs and the insert. I don’t know, but I know I want to watch. 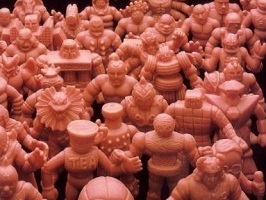 In my perfect M.U.S.C.L.E. world this would start as a $0.99 auction, because I want to watch the bidding unfold. In that situation, I believe it would end around $50. 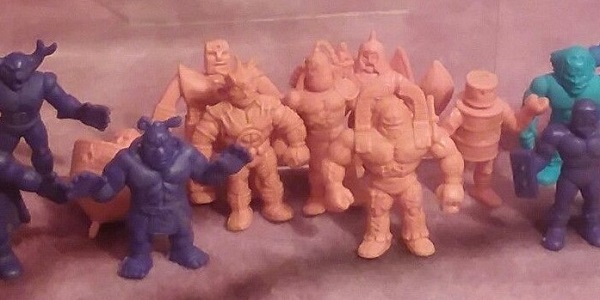 The third auction, Vintage Muscle Figure Lot of 20 – Sunshine Top 195 & Satan Cross – M.U.S.C.L.E, instantly pissed me off. Do you know why? I hate the hidden figure trick. What is the hidden figure trick? For me, it’s anytime a seller tries to subtly (but obviously) position a figure to maximize the sale price. In my book, you can even do it with one figure. It’s just anytime you’re trying to deceive without outright lying. But she says it in the auction description and shows the close-up! The first auction is what honestly looks like. It’s upfront. It’s in your face. It’s black and white – not a subtle shade of gray. It’s even worse when that lie is designed to take advantage of someone. Thankfully more and more shenanigans are being talked about. We acknowledge the loudly quacking ducks. And most collectors’ eyes are wide open. The most shocking part of the third auction – it has a bidder on the $25 opening price. 4th Auction – Salmon #107? 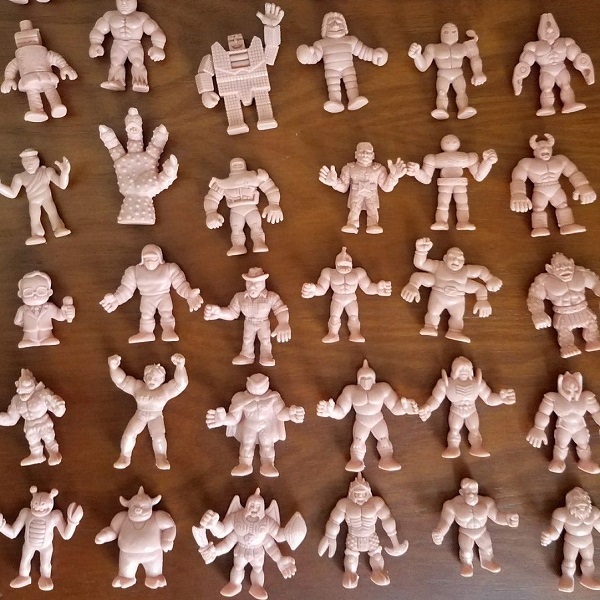 The fourth auction, M.U.S.C.L.E. 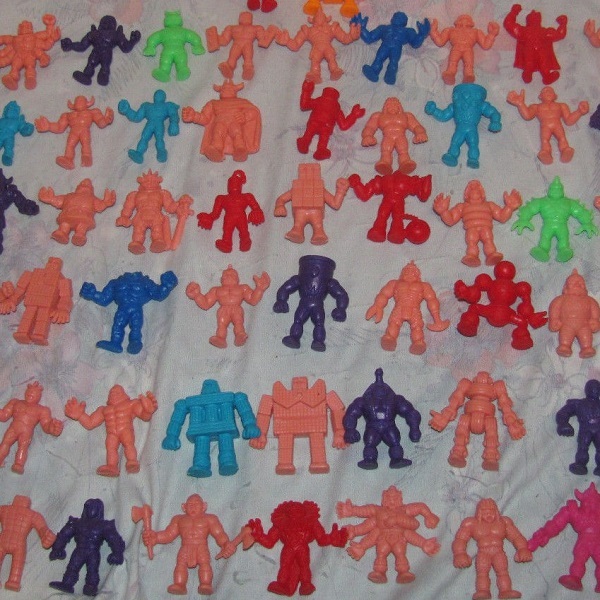 ROCKIN’ RING AND 39 MUSCLEMEN, would be an easy one to ridicule. It has 39 figures, in terrible condition, and a badly damaged ring with a $60 opening bid and $80 BIN (plus $15 shipping). But that isn’t the reason it made me take notice. Is that a Class A Salmon #107? Probably not. 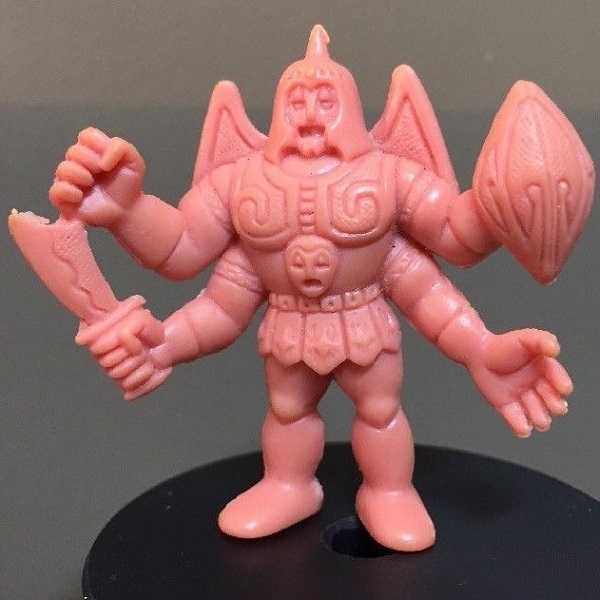 It’s probably a Flesh figure, like most of the other figures, that has been colored by a marker with the result making the figure photograph slightly Salmon-ish. If it was a Class A Salmon #107, then what would you spend on that figure? The figure’s face has clearly been colored black. That’s much worse than some black marks on the bottom of the figure’s feet. I couldn’t find any final prices for Salmon #107 figures. I did find one unsold at $145. I think I could stomach $20 if I needed it for my Master Set. This entry was posted on Wednesday, April 18th, 2018 and is filed under Auction Watch, UofM News. You can follow any responses to this entry through RSS 2.0. You can skip to the end and leave a response. Pinging is currently not allowed.